The history of the House of Drappier begins in the 12th Century with Saint Bernard’s, the founder of the Clairvaux Abbey, construction of a Cistercian cave. This cellars dating to 1152 are the emblem of this family for Reims, which arrived in Urville in 1805, three years before the conception of the celebrated Champagne house. Urville was first planted by the Gallo-Romans, an ancient vineyard where one can experience the finest expression of Pinot Noir. The true homeland of this variety, Urville seduced the Drappier family, notably Georges Collot, who replanted the vines in the 1930s. Teasingly called “le Père Pinot,” or Father of Pinot, his actions defined the brand identity, as now, not only is 70% of the family vineyard planted with Pinot Noir, so too is three-quarters of the region. 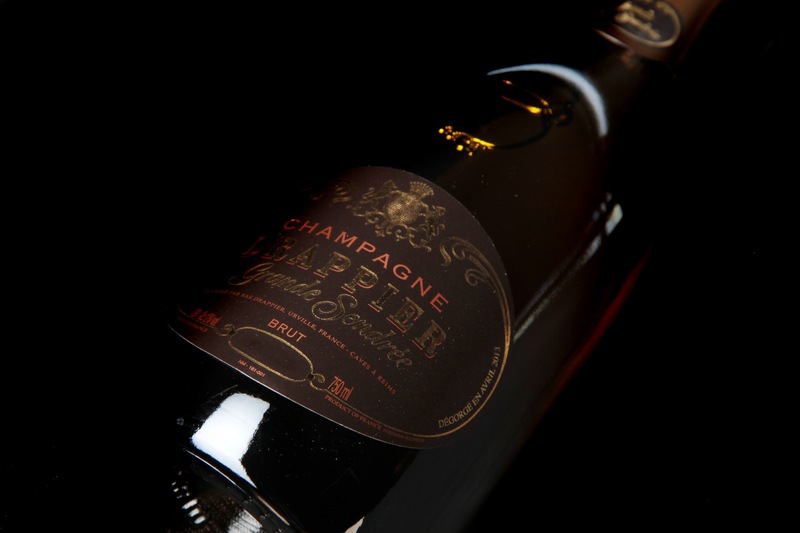 The House of Drappier delivered a large coup, when their 100% Pinot Noir Champagne became the favorite of General Charles de Gaulle, the prominent French figure, who was later commemorated with a special vintage. 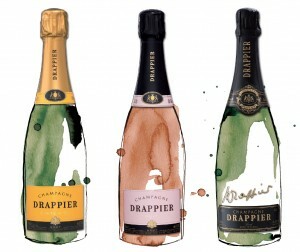 In 1968, Micheline Drappier, family leader of the time, introduced the 100% Pinot Noir Rose Champagne in a bottle with a very feminine design. A rare and audacious choice for the times, this special and particular cuvée made its way to the Elysée Palace. 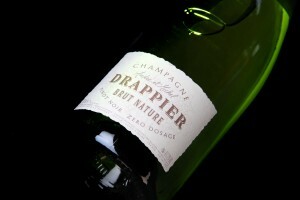 It was taking risks such as this that has made the House of Drappier one of the most prestigious in Champagne. Today they are the owners of 55 hectares and are under contract for another 50 hectares. 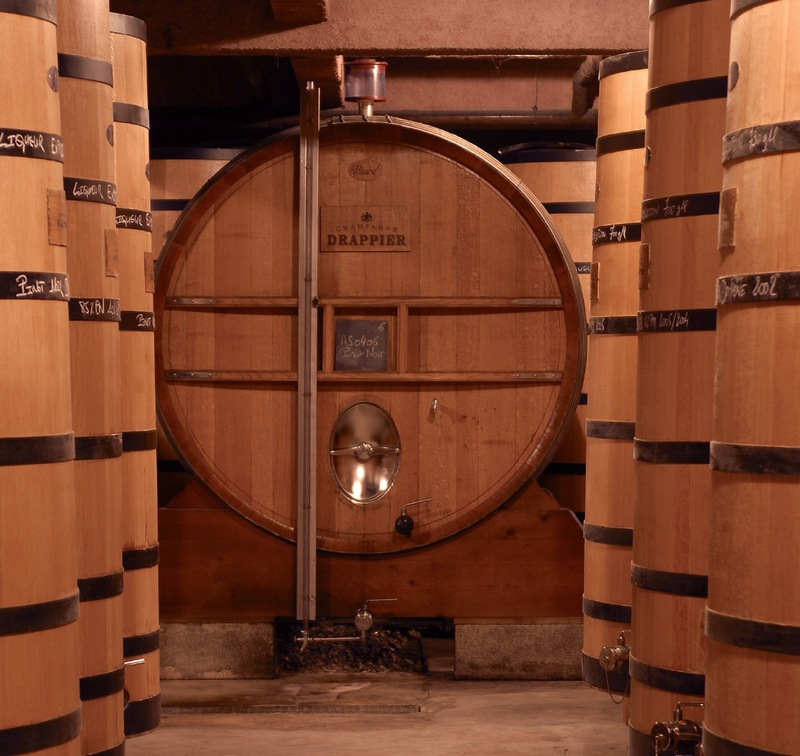 Big fans of orangic and biodynamic principles, the House of Drappier makes it a point of honor to go their own way and distinguish themselves from the others. After the Pinot Noir, the house reintroduced the Pinot Meunier after the historic frost of 1957 – this variety being more resistant to cold. The house also takes pleasure in cultivating forgotten varietals such as Arbane, Petit Meslier and Blanc Vrai. 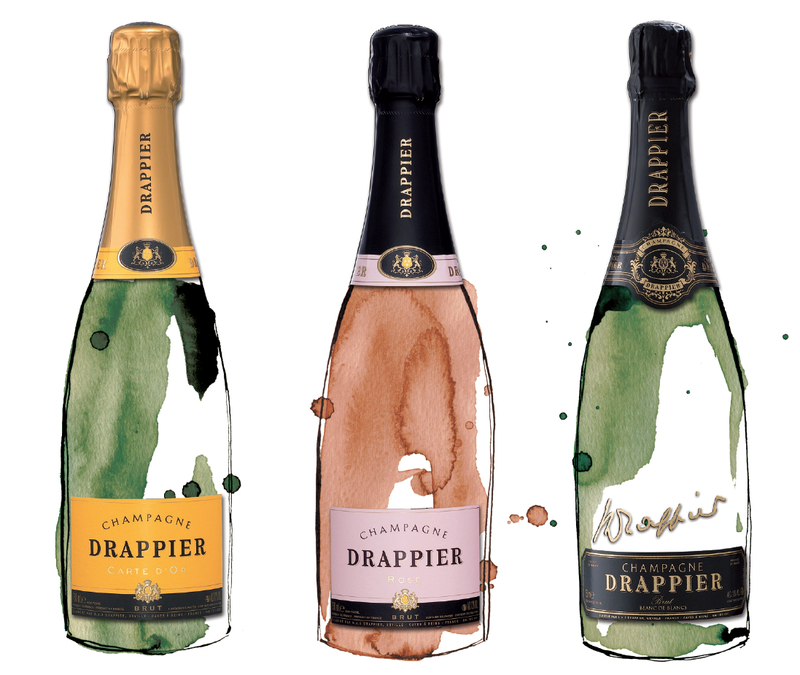 To display the perfection of these varietals, Champagne Drappier emphasizes their authenticity with low intervention winemaking. Here the dosage is weak, the sulfides are used in moderation – or not at all, as is the case with the Brut Sans Soufre – and the terroir is emphasized. The same for the blending, more than homogeneity and consistency, the house strives for the optimum expression of each varietal. The house is distinguished at each stage of its production. In fact with their Melchisédech, they are the only ones to capture a fine bubble, riddle and disgorge each individual half bottle. 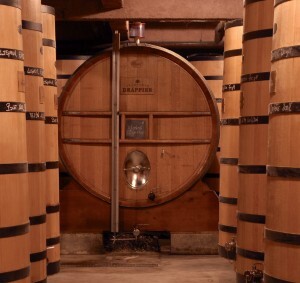 All of their liqueurs d’expédition are aged for 15 months in Limousin oak casks before being placed in dame-jeanne, or demijohn, bottles. 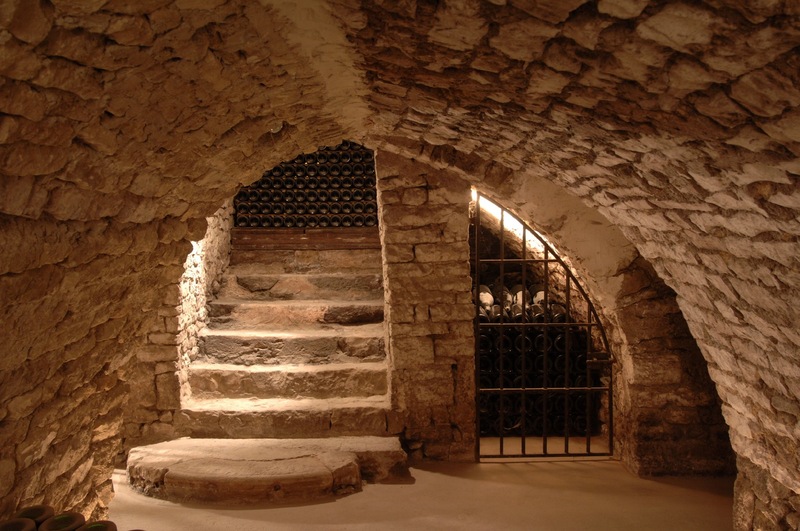 All of their bottles are exceptional, polished by time in the extraordinary house cellars. This fine Champagne is a single varietal, Pinot Noir. The aromatic bouquet is complex with a delicious fruity dominance. The mouthfeel is ample and finely spiced at the finish, altogether elegant with a great purity. This blend of 55% Pinot Noir and 45% Chardonnay finds balance between elegance, power and vinosity. The bouquet is subtle and gives way to a complex mouth with a deep structure.